Each model is imagined, designed and created in Paris. The collection is handcrafted by experienced leather workers in Portugal. The designer makes a point of working with French and European suppliers to ensure strict quality control of production, working conditions and respect of environmental norms to minimize impact. The leathers are chosen with the greatest care in French, Italian or Portuguese tanneries. As for the fish leather, which is selected and transformed in a tannery family from Iceland, who already had more than 20 years in use natural power in their production process. At the heart of the mosaic of materials, fish leather flashes the beauty of its scales. An innovative, ethical and sustainable material, fish leather reflects the high quality standards and environmental consciousness of ISADORA LIMARE creations. The designer is committed to breaking new ground, offering women a modern brand that believes urban fashion can be responsible fashion. For her collection PRYSM and MINI PRYSM, ISADORA LIMARE uses three fish leathers, salmon, Nile perch and wolfish. Despite its delicate appearance, fish leather is extremely solid. In fact, its interwoven fibers provide greater strength than those of other leathers. No two pieces are alike. Slight unevenness of color or shape due to their natural origin, makes each piece unique. 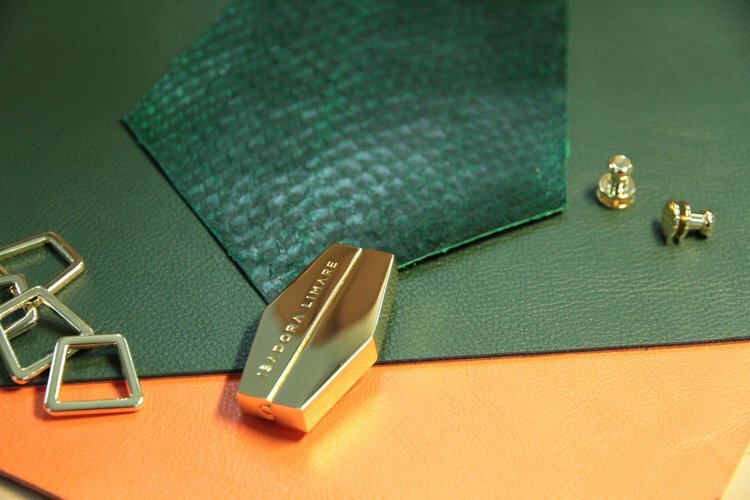 The finish given to fish leather provides a chic, glamorous and original look.